The fund will rebalance quarterly where each stock will rebalance to same allocation i.e. ~2%. Therefore, the fund will book profit from overvalued stocks and invest in undervalued stocks. Besides, the fund will reconstitute every 6 month along with Nifty 50. 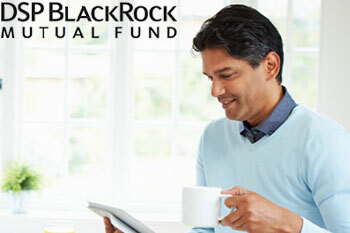 DSP BlackRock Equal Nifty 50 Fund is an open ended index linked equity fund which will mirror the Nifty 50 Equal Weight Index. The fund will invest in all companies of Nifty 50 Equal Weight Index with same allocation as in the index. Thus, the fund manager has no sector or stock bias. As the fund will mirror Nifty 50 Equal Weight Index, to understand the investment strategy of the fund, we need to understand how Nifty 50 Equal Weight Index and Nifty 50 are different. Nifty 50 Equal Weight Index follows equal weight index strategy, which means that all stocks have equal weight in the index. Therefore, smaller firms will get the same weightage similar to large firms as there is no valuation or size bias. Whereas, Nifty 50 follows free float market capitalization index strategy wherein the stocks with higher free float market capitalization gets the higher weightage in the index as compared to the smaller ones. For example – HDFC Bank has ~9.5% weightage in Nifty 50 Index due to its large free float market capitalization, while, HDFC Bank has only ~2% weightage in Nifty 50 Equal Weight Index. In Nifty 50 index, financial services have ~36% weight whereas in Nifty 50 Equal Weight Index Financial Services has ~21% weight. Thus Nifty 50 Equal Weight Index offers better sector diversification than Nifty 50. In Nifty 50, HDFC Bank has ~9.5% weight while in Nifty 50 Equal Weight Index HDFC Bank has only ~2% weight. Besides, the weight of HDFC Bank in Nifty 50 is equal to the weight of bottom 16 stocks of Nifty 50. In addition, the top 5 stocks have ~36% weight in Nifty 50 whereas the top 5 stocks in Nifty 50 Equal Weight Index has ~10.4% weight. Thus, Nifty 50 has high concentration risk as the weight of stocks in Nifty 50 is skewed. Historically, Nifty 50 Equal Weight Index has outperformed the Nifty 50 by ~2.9% CAGR during the period June 30, 1999 to July 31, 2017. Besides, Nifty 50 Equal Weight Index has outperformed Nifty 50 in 11 out of 17 calendar years since 2000 to 2016.